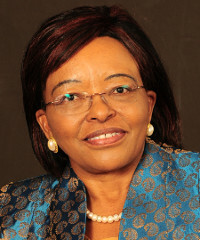 Dr Betty Gikonyo is the co-founder and CEO of The Karen Hospital, a Nairobi-based private hospital. A respected pediatric cardiologist and surgeon, Gikonyo and her husband Dan established the 102-bed specialty hospital in 2006. Recent expansion includes opening a nursing school and five satellite centres in different parts of Kenya. Gikonyo and her husband first had the idea of setting up a private hospital in the 1980s but their dream almost didn’t come true due to lack of funding. Financial institutions turned them down because neither of them had a background in business. It wasn’t until years later that a local bank and equipment supplier agreed to offer them credit. As CEO, Gikonyo has steered the expansion of The Karen Hospital. Speaking to How we made it in Africa, the charismatic entrepreneur shares her advice to other business owners on how to succeed against all odds. When starting a business every entrepreneur has ideas about the number of customers they will attract and how much profit they will make. Gikonyo warns that these projections hardly ever materialise, necessitating that entrepreneurs may need to find ways to increase their income without deviating from their core business. “You have to think on your feet [and] find ways to keep the business going. You should not limit yourself,” she suggests. The Karen Hospital was meant to focus on cardiology. However, when it began operations seven years ago, Gikonyo realised that many patients could not afford to pay for treatment. Gikonyo notes that most people think debt is a bad thing and therefore limit how far their businesses can go because they do not actively seek capital. She explains that every business and “even governments run on debt”. Business owners have to be clear on how they will repay loans, she says. They should also build a relationship with a financier who will stand by them during difficult times when they may have to delay payments or seek additional credit to keep the business afloat. You are looking to hire a business development manager and the first person that comes to mind is your cousin George. He did take some accounting classes after all. Give him a phone call, right? No, says Gikonyo. Most people tend to confine themselves to their profession, but Gikonyo says entrepreneurs should keep their options open. However, do ask questions, undertake research and enroll for short courses to increase knowledge in any new fields. Gikonyo notes that regardless of how good a business service or product is, without marketing they are unlikely to attract customers. Whether it’s purchasing office computers, company cars or multi-million dollar hospital machines, Gikonyo advises business owners to look for the best quality to get value for their money. She also suggests having auditable systems in place. Gikonyo says most entrepreneurs miss out on success because they lack “staying power”. She tells how for 10 years, she and her husband knocked on the door of every financier in the country hoping to get funding to establish their hospital. The couple didn’t give up and eventually found willing investors. She urges entrepreneurs to hold on in the toughest of times.